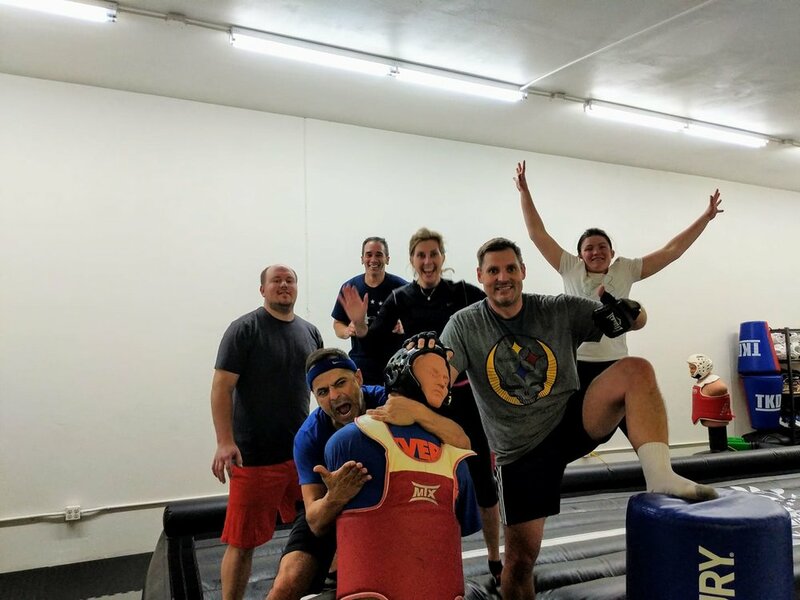 Our Cross-boxing program integrates elements of Crossfit and Kickboxing. You will begin each class getting your heart rate up by doing obstacle courses and strength building moves. Then you will kick and punch the bags to burn those calories and tone your muscles! We guarantee you will sleep good that night after spending an hour on the mats with us. Affordable and a punch card is used when you attend class. No contracts or membership agreement is required. Drop-rate is $5.00! How can you not try it out at that price?! is part of our routine. We use the air track sometimes to get a good workout in.